It is clear that there is no shortage on weird critters in the ocean. Most of these happily bumble along the sea floor without attracting undue diver attention besides maybe the occasional researcher. But then there are those critters that stand out and are absolute favourites with divers and photographers. These superstars are on the wish-list of any diver who’s ever seen pictures of them. 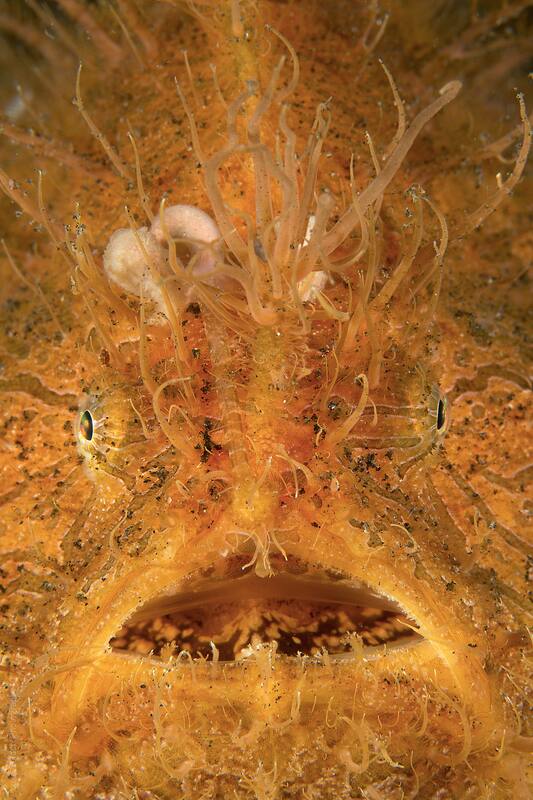 One of these absolute superstar critters, is the Hairy Frogfish. In case you would be asking why, here’s is what we know: As many of the other critters I’ve written about, the main goal seems to be camouflage. This species seems to become hairy in areas with high filamentous algae growth, the hair mimics the algae and breaks up their body outline. However, Hairy Frogfish are not always hairy, they are relatively frequently seen without hair, but in that case they don’t always get recognised as “Hairy Frogfish”. As a matter of fact, their scientific name (Antennarius striatus) relates to the fact that they have stripes on their sides. 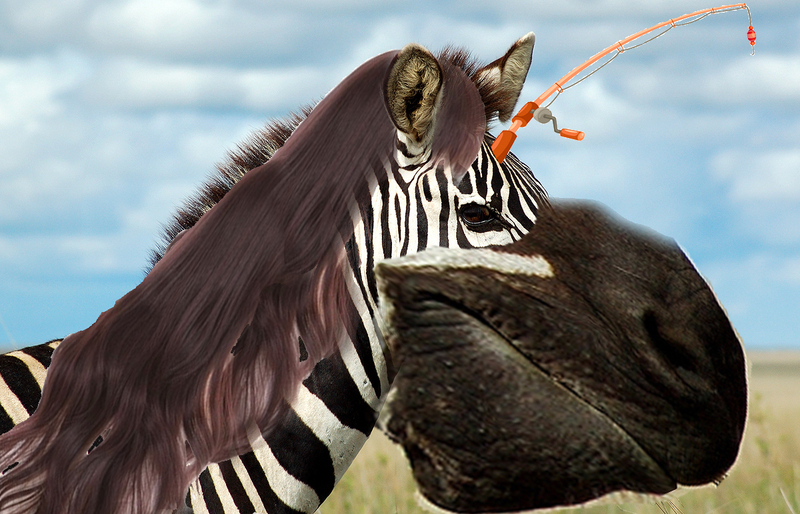 Terrestrial interpretation of a Hairy Frogfish..
On top of it, that nightmarish zebra would also be able to change colour. Not just to a kind of grey or brown, but nearly every colour in the rainbow! I have seen hairy frogfish being yellow, red, orange, black and white. The goal again is to blend in, so the white versions are often juveniles found in areas with many dead sea urchin-shells (which are white). This white version is usually not hairy to resemble the shell fragments even more closely. My favourite colour morph is the black version, which seem to get this colour when associated with living (black) sea urchins. The other obvious question (How???) is harder to answer. There are a lot of theories around, but I could not find a single paper describing how the process happens. So we don’t really know, but the “hairs” seem to be filaments growing from the skin. To confuse things a bit, frogfish often also have real algae growing on them. 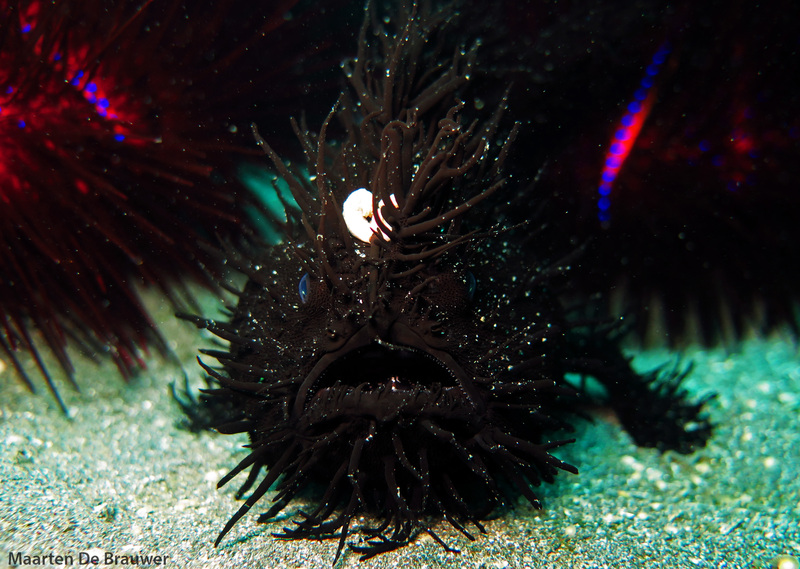 This hairy appearance is not restricted to frogfish, but can also be seen in certain species of Scorpionfishes and Ghostpipefishes. The growth of it seems to be triggered by absence / presence of certain algae, but the exact details remain a mystery. In the minds of many divers, the hairy frogfish is exclusively associated with world-class muck sites such as Lembeh Strait or Anilao. In reality, they are one of the most widespread species of frogfish. They can be found all the way to Perth and Sydney in Australia, but have also been seen in Brazil and Blue Heron Bridge in Florida. Genetic analysis do hint at the fact that these widespread Hairy Frogfishes might actually represent multiple species, plenty of room for some more research there…. 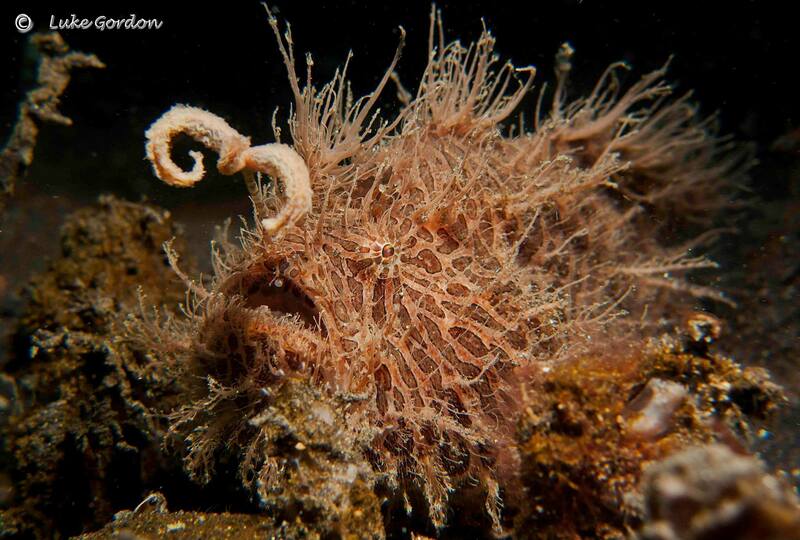 amazingly weird hairy frogfish. I would like to stumble upon this critter in one of my dives. Thanks for sharing.